With the rise of the internet, the nature of sales and marketing has drastically changed. Cold calling is no longer effective. 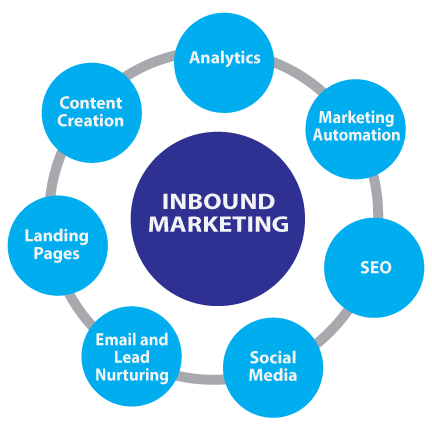 Increasingly, businesses of all sizes are turning to inbound marketing as a solution. You must have a strong online presence to attract strangers who are searching for the products and services you offer. This includes a web site with SEO optimization as well as advertising and social media rich with the keywords they’ve been searching for. They may click on your PPC ads or be routed to your web site as the result of a search. Once you’ve gotten the attention of these strangers, they become visitors who are ready to receive more information about your company via click-through calls-to-action on your web site, blog or social media platforms. Your offer or promise of further information will take them to a landing page where you’ll capture their all-important contact information. Once you’ve built a list of visitors with whom you can now communicate, they become leads who are ready to be taken even further into the sales funnel. Email nurturing campaigns give these contacts additional information about the product or service they’ve been considering and provides them with added assurance that your company is trustworthy and provides quality. As they convert, they’ll either call or email you or they’ll welcome your call or appointment. Just because you’ve completed a sale doesn’t meet the relationship has ended. Satisfied customers can become your promoters. It’s essential that you continue to delight them with useful communications and offers. Feedback and surveys will help you determine how well you’ve done your job and what you might need to adjust. Social monitoring keeps track of what people are saying about your company online, allowing you to address any problems immediately and to see just how many people have become promoters. Strottner Designs can provide all the inbound marketing services you require. Whether you’re looking for a complete turnkey program or consultation on specific elements, we can do it for you! When Should You Update Your Brand Image? Why Should You Outsource Your SEO? What is the Google 3 Pack?